It's coming to an end, everybody. 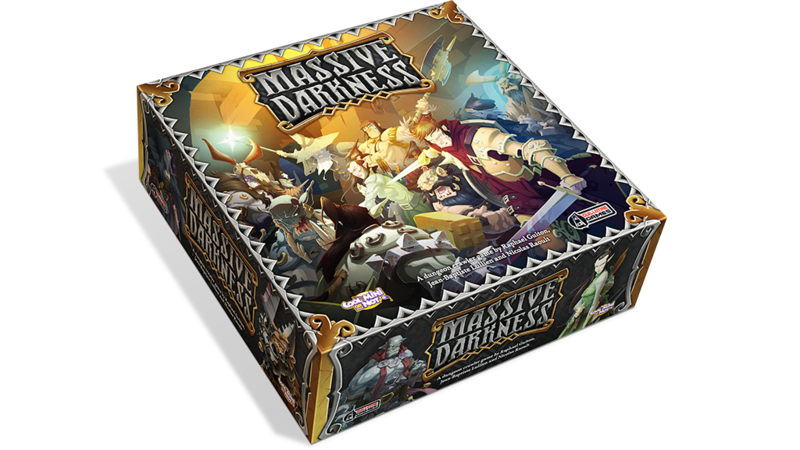 The Kickstarter campaign for Massive Darkness will be over today. The new dungeon crawl board game from Guillotine Games and CMON takes players below the surface and into seemingly endless twisting corridors. But with danger lays opportunity. Grab the treasure and emerge the greatest heroes history has ever known. The game is fully cooperative and brings some innovative mechanics to the tabletop. For example, characters are not locked into a particular class. So whatever hero you choose to use, you can also pick whatever class you want to use for them. Want the big, brawny guy to be your wizard? That's fine. How about the lithe elf to be your fighter? That's alright, too. You can also customize your dungeon based on what monsters you want to face. Want to see what a certain scenario plays like against demons versus goblins? You can do that, too. The combat system quickly resolves attacks, so you don't get bogged down in counting out bunches of numbers. As is usual for a CMON/Guillotine Kickstarter, there's plenty of unlocked stretch goals and special add-ons. With a whole pile of Kickstarter exclusives, you'll want to get in on this one before it's over. And when is that end, exactly? 7pm, Eastern, tonight.